In our Research & Development department, the colleagues here work together with our designers to give you a more suitable and unique packaging solutions. 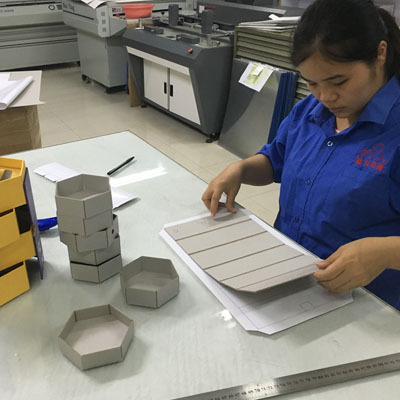 We also have a proofing room in this department, when the designers complete the design, the engineer will draw the structure diagram of CAD form through a computer. 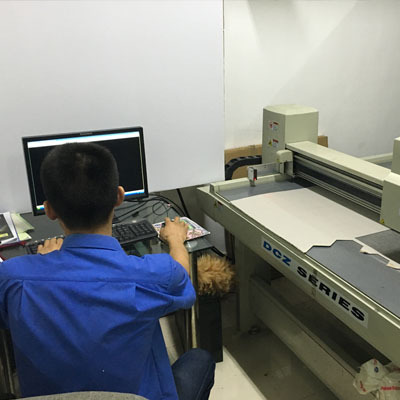 Then the diagram will be changed into a real product by using our proofing machine. It is an important process in developing new types of products.